Most business leaders I met towards the end of the year as we celebrated the End of Year CEO Round Table Gala themed “Visionary Leadership for Prosperity” told me 2018 was quite a turbulent year to navigate. The general sentiments were that the world has become much faster and the business environment in Tanzania tougher, leading to exhaustion especially as many were confronted with harder business decisions to make to sustain and grow business. Whilst globally economists are split on global business environment, many do see volatility and slowdown as a big ongoing challenge that CEOs and leaders will need to continue to navigate in 2019. Growing inequality, a workforce ill-adapted to rapid technological change, political instability and a massive debt burden on governments, corporations and individuals – the general view is there is there are structural headwinds that threaten to upend the global economy, this means tighter investment climate for economies in our region and the focus for business leaders should really be more on medium to long term growth. Locally also there are ongoing concerns on economic and business environment, as outlined by our Minister of Finance in his budget speech for year 2018/19— whilst there has been progress made, matters of conflicting laws, high operating costs, overlapping of responsibilities and multiplicity of regulatory authorities in approving, licensing, granting permits and certificates in business and investments continue to be of material bother. Whilst the private sector has recently noted some improved dialogue, decision making and execution on matters of concern as highlighted in blueprint and often sighted by Tanzania Private Sector Foundation (TPSF) leadership will require firmer engagement, continued collaboration to bigger success is highly desireable. Overall feedback from CEOs indicates having a conducive business environment with stronger motive and cooperation to drive prosperity is the cornerstone to driving economic growth. Therefore it is important for leaders in private and public sector to reflect on what worked and what did not in 2018 and take positive lessons learnt to drive purposeful progress in 2019 plus maximize on our national potential. Business will extend their focus on adopting more technology which will include using more platform enabled services plus robotics, increased use of digital workplace, automation and business process reengineering , better data management and use, enhance attention to cybersecurity, looking at opportunities to use blockchain plus virtual and augmented reality, expand use of AI and extend tech driven products and services – all this will see increased uptake in 2019. Some key contributing factors leading to increased adoption of technology include better accessibility, cost management for business sustainability, improving productivity and self disrupting to be more relevant. Prof. Benno Ndulu, during the CEOrt Gala also outlined to CEOs and leaders on “Pathways to African prosperity in new technological reality”, the big take away from his engagement was that the new wave of technology is clearly radically transforming people’s lives and livelihoods in the continent. Tanzania can take material advantage and through this also extend on our National Financial Inclusion Framework 2018-2022 aspirations by undertaking a national study to become more ‘inclusion ready’, this will allow us to drive reforms and get business leaders more aligned on prosperity opportunities. In 2019, business leaders will need to spend more time thinking about integrating and serving the new generation whereby most of whom have never known life without internet or social media. Zoom Tanzania and Brighter Monday CEO Mili Rughani says for both their businesses they are constantly evaluating Gen Z’s behaviors, spending patterns, work culture, learning approaches, passions and trends they follow. Their attitudes and priorities are characterized by the attitude of born free, equal opportunity, change driven, ability to challenge status quo and having their voices heard. Mili who also spends time with Rotaracts (young adults and Gen Z’s who join Rotary) says whilst many youth across Tanzania and also Africa are yet to experience the basics such as reliable electricity, adequate sanitation, dependable education and digital technology – they are willing to embrace more disruption and be involved in co- creating the world, it is indeed unfortunate we do not have enough employment and entrepreneurship opportunities to maximize on their potential. The reality is Gen Z’s born between 1995 and early 2000’s will continue to become a bigger part of business and society decisions – and therefore, there is a pressing need to wake up to this reality more consciously and create policies, and strategies that are reflective of this emerging trend. With cheaper mobile phones and data plans, more hunger for knowledge and information, increased products and solutions offered online, general shift from TV to online, uplift in use of social platforms and increase in Gen Z penetration; Tanzanians overall will spend more time online. It is estimated that as a region we have seen around 20% growth in internet users and this is projected to grow further in years to come. There is more content being consumed today than ever before in history. 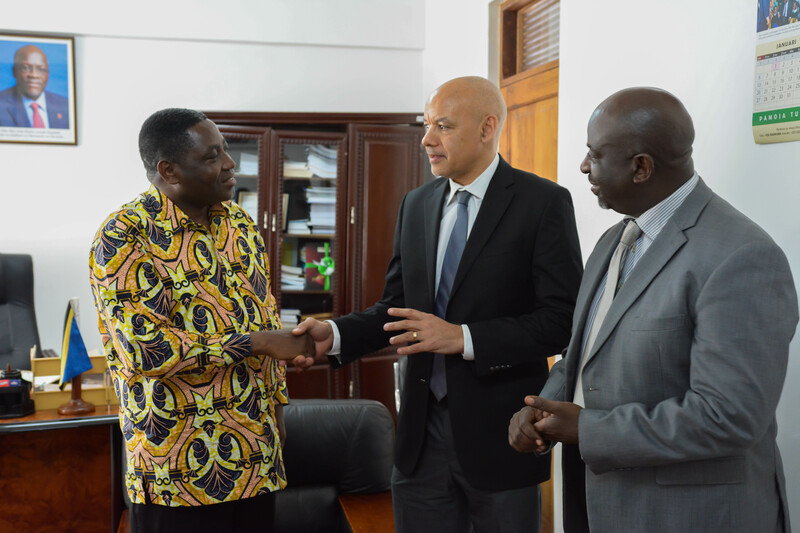 Education providers including some universities, Tanzania Institute Of Bankers (TIOB) and others are all all looking at opportunities to extend their reach by providing more inclusive and quality learning using LMS (Learning Management System) this will further get students to be more online. The growing diversity of customers, ideas, talent and the changing business models is driving more the need for inclusion as a new leadership capability. Being inclusive is going to be about keeping it simple, human, and making sure employees understand what inclusion is and how those behaviors show up at work. CEOs know that if staff feel like they truly belong and are supported, they will thrive. Some good recent examples of inclusive leadership I have picked up from CEOs in Tanzania include Alan Johnson of TCC embraces humbleness and intellectual curiosity which helps him in good decision making, Miranda Naiman of Empower Limited is constantly driving her team and fellow leaders to embrace a “growth mindset”, for David Tarimo of PwC its about communicating and sharing transparently which gets his team and stakeholders aligned moreeffectively – one important trait of a quality inclusive leaders will be to learn on the move from their peer group and for this they need to be more observant and be more willing to listen. 6. Regulators and stakeholders will have more policy dialogue – the test will be for what progress? Strong and quality collaboration will be the deciding factor to success – with a country with enormous potential, the purposeful focus on inclusive growth will be important to fulfill. For 2018 the one word which was very prevalent around us in leadership was “dissatisfaction”, the common feature of these reactions was lack of trust in our collaborative ability to move move adequately forward. We have enough data and information on what priorities and the decisions that will be necessary to shift the dial and bring more prosperity. In my recent interaction with some millennials their overall comments was “leadership is privilege that needs to be wisely used to its maximum potential, we want to see more and very timely decisions being made to ensure our and our nations future sustainability” – I guess this is a good challenge and a compass to all our policy dialogue engagements. Sosthenes Kewe the Executive Director of FSDT also regularly draws our attention to need of positive policy reforms and collaboration that will support exponential growth through the insights we have gathered on the real financial sector data in Tanzania. Responsible leadership, good conduct, governance, competence, accountability, fairness, transparency, right values, human rights, right not easy decisions and in time, embracing diversity and inclusion, purposefully contributing to sustainable developments goals – attention to all such matters will give CEOs and leaders a more preferential license to grow in the future. Corporates and Government are both accountable to their citizens, investors and stakeholders – this continues to be a basic expectation. The time has come, to be very focused on and determined with how we leverage that regime of good governance for positive change. Besides peer to peer learning, some leaders sighted use of Larry Fink’s (Chairman and CEO of BlackRock) note “A Sense Of Purpose”, IFC’s recent study “What We Learned about Corporate Governance and Code Development in Sub-Saharan Africa” and The The Ibrahim Index of African Governance to pick some best practices on how they can elevate their game on good governance. From inception, the core principal of the CEO roundtable has been ethical leadership for prosperity and growth. Our association worked in collaboration with the Ethics Secretariat to put in place a National Integrity Pledge for Public Leaders, Public Servants and Private Sector, CEOrt as preferred private sector partner for the implementation of the National Integrity Pledge continues to firmly advocate commitment to this best practice. Sanjay Rughani is the Chairman of CEO Roundtable, CEO of Standard Chartered Bank and Director of Tanzania Private Sector Foundation.